Jawad Ahmed Punjab Folk Music Singer. He was born on 29th September 1970 in Lahore Pakistan. He is great Pop Music and Bhangra Artist. His parents who are both professors of political science. His father is ‘Professor and he studied in Cathedral school, 4 Church Road,Lahore, and he got his further education in Mechanical Engineering at the University of Engineering and Technology, Lahore Pakistan. He is master of Folk Music of Punjab Songs. He is most popular Pakistani Classical Music, Pop Music Singer, he create great name in Pakistani Music. He is great singer of Pakistan and sung Best Pakistani Pop Songs in Punjabi, Urdu, Saraiki language. His career in music is preceded by active participation in various societies including the music and the literary society at University of Engineering and Technology in Lahore and which he claims formed the basis of a serious consideration of adopting music as a career much later in his life. He had graduated and left the band named Jupiter. Jawad Ahmed has received no formal education in Music, most of his songs are written and composed by him. 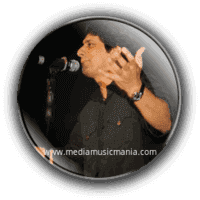 Jawad Ahmed was very popular due to his great song Allah Meray Dil Kay Andar which essentially showed a way to inner peace, a path forgotten much long ago. I have selected below most popular songs of Jawad Ahmed. He is one of the best Punjabi Folk Singers Jawad Ahmed released popular albums such as Deewanay, Mehindi and others.